At Project Skills Solutions we have been supporting businesses of all sizes for over 12 years in the designing and installing their voice and data network requirements. If you are moving into a new building, new offices or just moving staff around your existing building then we can design and install complete structured network cabling solutions for voice and data to meet your exact requirements. 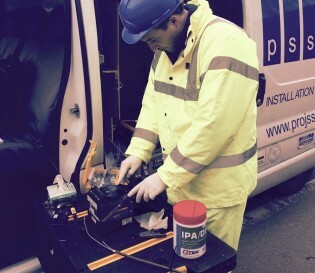 We understand that your network performance is business critical, so when you choose our installation services, you are assured of the highest level of professionalism and quality from one of the UK’s most established data network cabling companies. Our network cabling installation services include the installation of data racks, wall mounted cabinets, network cabling containment, patch panels and all required electrical works. 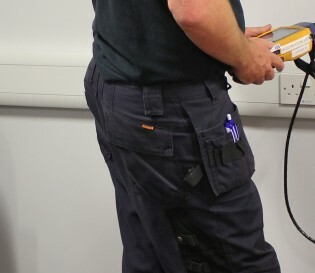 Our engineers are fully trained, uniformed and equipped with the latest equipment to carry out the data cabling installation with minimal disruption to your business premises. 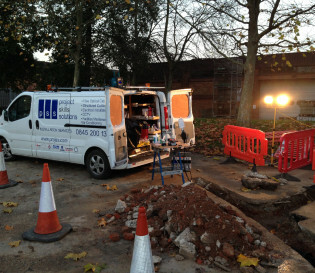 On completion the cabling will be fully tested to ensure network performance and a full set of test results. Interested? 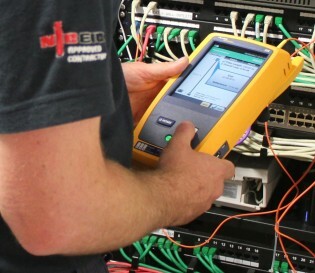 The first step is to call us for a free survey; we will arrange for one of our managers to meet you and discuss your exact requirement.They will be able to advise the best network cabling solution, along with any associated works required that we can provide Fibre Optic Installation, External Fibre Optic Cabling, Electrical Maintenance Services, HVAC Air Conditioning Services . 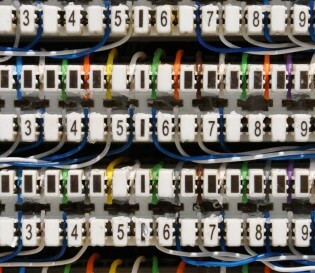 While on site we will detail all cabling routes, methods of cable containment and positions for racks and data outlets. Then within the next 2 days you will receive a detailed, no obligation quotation to provide you with a full understanding of our proposal. 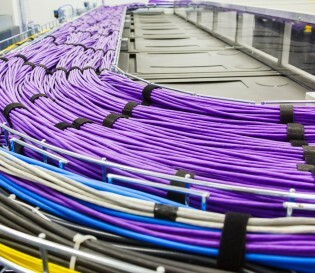 From minor works to major projects, you can be confident in choosing our network cabling and data cabling services – see our Case Studies for more information.